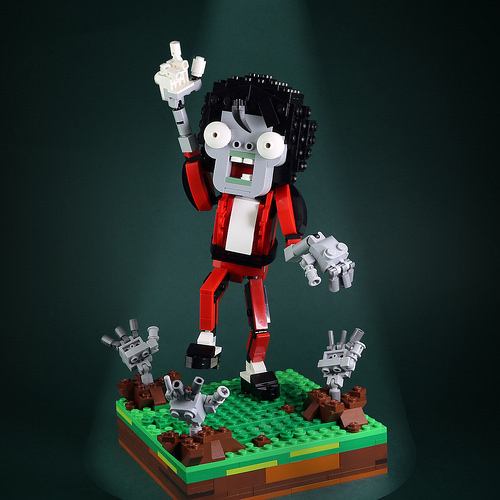 And just in case you missed it previously, Hallowe’en seems like the perfect excuse to remind you about LEGO 7‘s amazing Zombie Michael — a model considerably more complicated than mine! 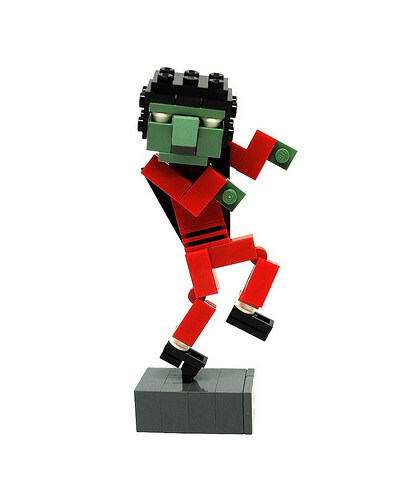 The face and hair are excellent, and I love the overall poseability. Don’t miss that single white glove too — a nice touch (although not strictly correct if we’re being geeks about Thriller-outfit accuracy).